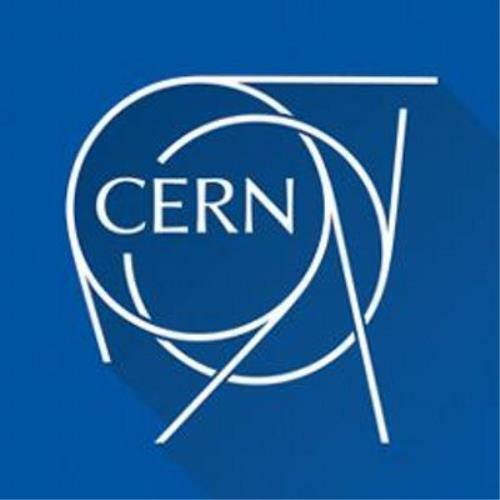 CERN - the European Organization for Nuclear Research has long been in conspiracy news for its stated and speculated goals has recently added more fuel to the conspiracy fire. 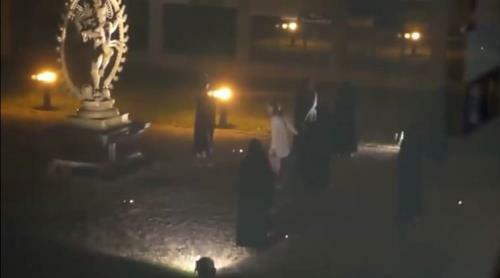 In a video circulated online, shows several individuals in black cloaks gathering in a main square at Europe’s top physics lab, in what appears to be a re-enactment of an occult ceremony. The video shows a fake stabbing of a woman. CERN's official statement: “These scenes were filmed on our premises but without official permission or knowledge,” a Cern spokeswoman told Agence France-Presse in an email. 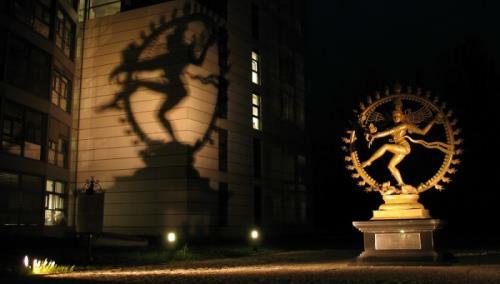 The ceremony was done in front of the stature of the Hindu God Shiva "The Destroyer" on CERN's facility. This along with speculation they are opening portals to other dimensions and time travel riles up further suspicion. Why the statue of Shiva is there in the 1st place is another question open for discussion. 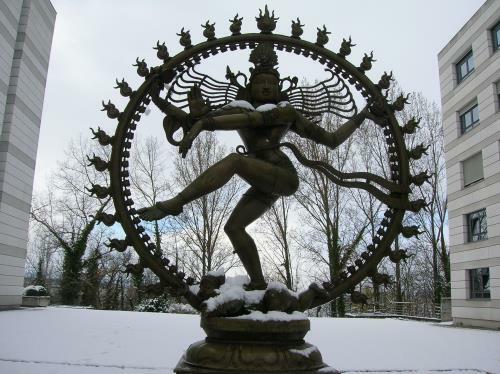 What do you think is REALLY going on at CERN?